Lingzhi Yügyal Dzong is an important Drukpa Kagyu monastery and administrative center situated at an altitude of 4150 metres in Lingzhi, Thimphu District, Bhutan. 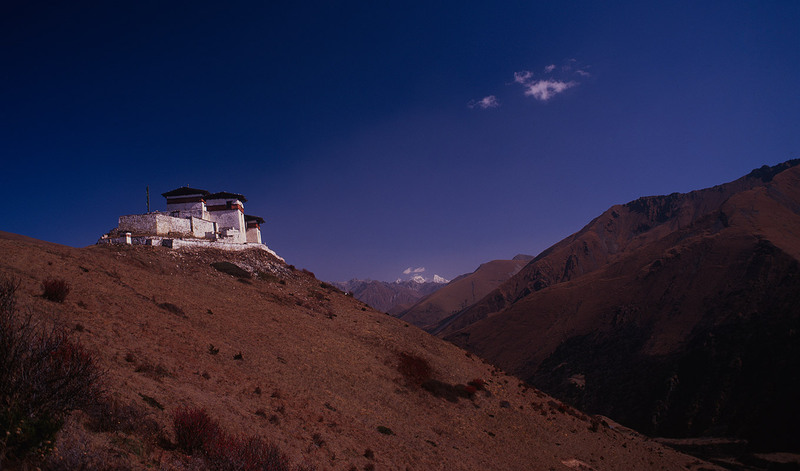 The Dzong was built in 1668 by the third Desi of Bhutan, Chögyal Minjur Tenpa (r. 1667-1680) to commemorate victory over a Tibetan invasion and named Yügyal Dzong. It controlled the border between Tibet and Bhutan and was one of the main defensive fortresses in the north of Bhutan.